The Larry Sanders Show is coming to VH1 Classic this July! The very well written comedy starring Garry Shandling and Jeffrey Tambor will start airing on the cable network on July 1. 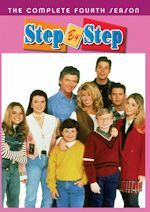 The 1992-1998 HBO comedy will air Sun-Thurs at 11:30 p.m. leading into an hour of Married...with Children at midnight, which has done well it seems for the network. 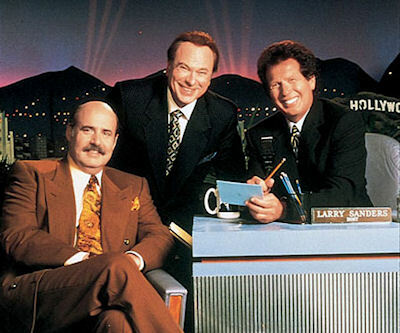 The Larry Sanders Show was last seen on IFC starting in January 2011, but it hasn't aired recently. 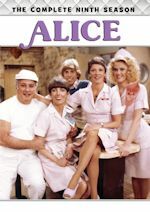 The series is a comedic behind the scenes look at a late night talk show and won multiple Emmy Awards, including one for Rip Torn for Outstanding Supporting Actor in a Comedy Series. Back to IFC, the only off-network series they air now are Malcolm in the Middle, The Three Stooges, Freaks and Geeks, Action and Arrested Development. Both Larry Sanders and Married...with Children are owned by Sony Pictures Television. And speaking of Married...with Children, VH1 Classic's sister network CMT started airing the sitcom again in marathon blocks here and there. One aired last Tuesday in the daytime with some more to come, like next Friday (June 29) from 1:30pm-4pm and a 4th of July marathon on Wednesday, July 4 from 12pm-8pm. There is word some more sitcoms could be coming to CMT in the near future...what do you think they could be? Sound off on Twitter and Facebook! For now, enjoy Larry Sanders (on VH1 Classic) and Married...with Children (on VH1 Classic and CMT). We have some sad news to report. Actress and comedian Yvette Wilson, best known for her role as Andell Wilkerson on the UPN sitcom Moesha and its spinoff The Parkers, has died. She died of cervical cancer on June 14. Ms. Wilson was only 48. Wilson began her career as a stand-up comedian. She made a couple of appearances on In Living Color in 1992-1993 before she got her big break on the 1993-1994 ABC sitcom Thea. She played the character of Lynette, Thea's sister, in all 19 episodes. The short-lived show featured Brandy Norwood in her first regular television series role. Brandy and Yvette would later appear together again in Moesha. She played the supporting character of Andell Wilkerson on Moesha in 105 episodes over 4 seasons from 1996-2000. Her character owned The Den, a popular restaurant where Moesha and her friends hung out after school. 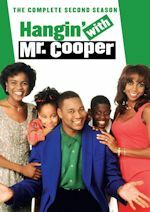 After four seasons on the show, she left to appear on the spinoff series The Parkers. She played the same Andell Wilkerson character. This time she was the best friend of Mo'Nique's character Nikki Parker and owned a restaurant and bar named Andell's. She appeared in 101 episodes from 1999 until the show was cancelled in 2004. In 1997, she guest starred in an episode of The Jamie Foxx Show. She also appeared on HBO's Russell Simmons' Def Comedy Jam. 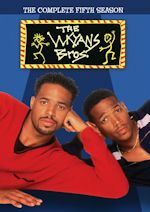 Wilson's film credits included Poetic Justice, House Party 3, Friday, and Don't Be a Menace to South Central While Drinking Your Juice in the Hood. Ms. Wilson was a talented and funny actress. She will be deeply missed. Post your condolences on our Moesha or The Parkers message board. As we previously mentioned, GMC (Gospel Music Channel) acquired Moesha in April. It can been seen Saturdays at 1-5pm (the times seem to vary, so check your listings). The Parkers airs weekdays on BET at 12-1pm and 5-6pm. They have previously scheduled marathons set for this Saturday (6/23) at 8am-5pm and Sunday (6/24) at 11am-2pm.